The final round of the Meco Motorsport FMSCI National Rotax Max Karting Championship was held on Sunday, November 4 at the Meco Kartopia track in Bengaluru. 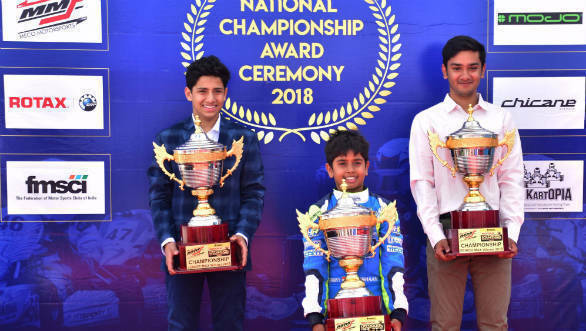 Three classes of racing were held in which Bengaluru boy Ishaan Madesh, Agra's Shahan Ali Mohsin (Junior Max) and Debarun Banerjee from Delhi were champions in the Micromax, Junior Max and Senior Max categories. The championship winners of the three classes will now represent India at the Rotax Max Challenge Grand Finals in Brazil being held between November 24 and December 1. In the Micromax category, the 10 lap pre-final race saw Rohaan Madesh from Peregrine Racing take top honours with a time of 10m 26.370s. The 12 lap final race saw Ishaan Madeesh (12m 26.8s) being followed by Rohaan and Saathvik Raju. 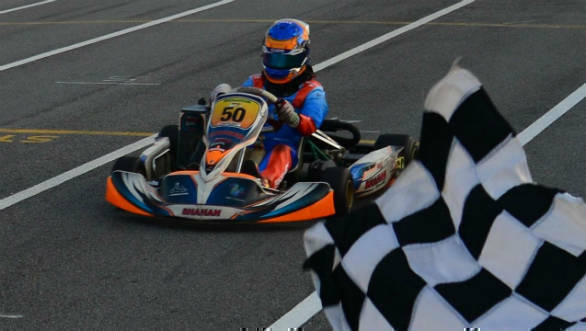 In the pre finals(15 laps) for the Junior Max category, the winner was K Suriya Varathan from MSport with 14m 06.5s. He continued this good run in the 18 lap final race too. He won it in 16m 50.6s. Following him were Mihir Suman Avalakki (16m 52.3s) and MR Rishon (16m 59.8s). As the timings suggest, all three classes saw close competition throughout the weekend with only milliseconds separating the top contenders. The team championship titles were won by Peregrine Racing in the Micromax, MSport in the Junior Max and Senior Max categories.